The Economist recently wrote about how Europe is highly vulnerable to Russian control over gas supplies – and how Europe can reduce its reliance on Russia by changing generating technology. In the article, it states that “better electricity interconnectors could reduce that need for gas by making it easier to export electricity from renewables-rich markets like Germany on sunny or windy days and to import it on dark or still ones.“ This brings attention to the great importance of strengthening the electric grid in Europe and construct new electric cables, such as to Norway and to Iceland. The Economist correctly points out that interconnectors can help substitute one type of renewable energy for another. Hydropower (like gas-fired power stations) can easily be turned on – when the wind in Germany or United Kingdom falters. But hydropower is not evenly spread. As stated in the article, “Sweden and, particularly, Norway have a lot of it, Germany and Benelux not so much.” Iceland is a country with abundant hydropower, that by far exceeds the country’s own electricity needs. In addition, Iceland also has extensive geothermal resources, that offer stable electricity generation for domestic use and for exports via submarine electric cable(s). Thus, Icelandic energy can be an excellent option for diversifying Europe’s energy sources. “Forging such links requires a pan-European push”, the Economist-article continues. To make it work on a large scale will require new pricing strategies to recompense the owners of fossil-fuel plants pushed off the grid when renewable energy from other countries flows in. According to the Economist, Norway could generate much more hydropower, given a market. 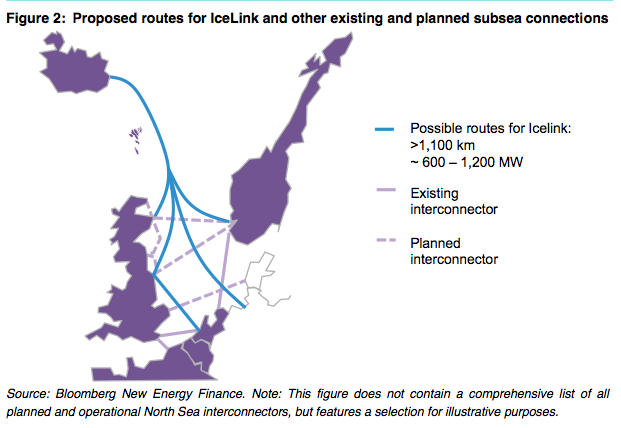 The Economist states that there are currently plans for up to five new interconnectors from Norway to the EU to be built by 2020, with a capacity of up to 5GW. 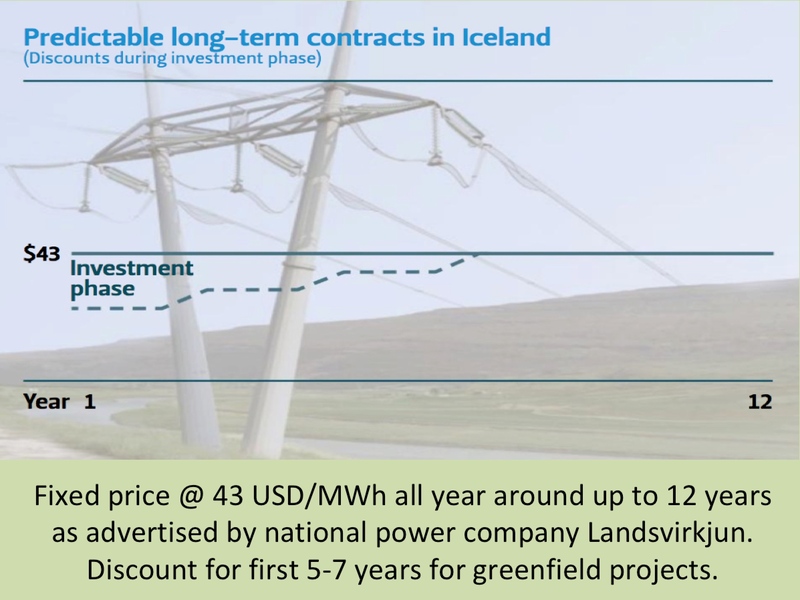 An inteconnector to Iceland would easily offer 1 GW more. In last March (2014) the EU’s Heads of Government told the EU Commission to produce a plan for reducing energy dependence. The plan is to be finalized by June, and some of the key elements of the strategy are to include an in-depth study of EU energy security and plan for the diversification of supply. That is likely to give a push to storage capacity and both more and larger interconnectors. Iceland is the world’s number one electricity generator per capita and still has substantial unharnessed hydro- and geothermal resources. Thus, the development and implementation of such an action plan may offer very interesting possibilities for the Icelandic energy sector.